Your participation in this Youth Camp: Korea comes at a time when the international community increasingly recognizes the power of young people to change our world. I am proud to have appointed the first-ever United Nations Envoy on Youth, Ahmad Alhindawi a 29 year-old leader from Jordan. He will be an advocate who will stand up for your interests and advise me on how we can best respond to issues of concern to the world’s young people. The United Nations has also created a dedicated trust fund to boost youth volunteerism and harness the energy of young people from different countries to help us reach our global development goals. These and other measures aimed at empowering young people are part of our effort to enlist youth in helping to address the turmoil and uncertainty that grip much of our world. From tense transitions and armed conflict, to economic and environmental distress across the globe, we are being tested every minute of every day. I am calling on governments to help us stop moving from crisis to crisis and instead address the underlying causes and inter-relationships. At the same time, we know that lasting solutions to global problems no longer lie in the hands of governments alone. 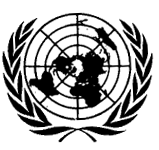 The United Nations of the 21st century is advancing through networks and coalitions. We need you to be a full partner in our campaign for a better world. I have met countless people over the course of my career whose dedication to public service could be traced back to when, at your age, they attended a conference where students debated international issues under the blue UN flag. I count on you to use the negotiating skills you learn in Youth Camp: Korea to help navigate the real world problems we face. Join forces with likeminded individuals and groups to promote understanding and generate positive change. Link to the United Nations through our Twitter and Facebook accounts. Continue to draw on the experience to help and inspire others. This will enrich you as individuals and enhance our common future.